Crossword puzzle for extra credit or early finishers. Whole unit should take from 1.5 - 2 weeks at 55 min periods. 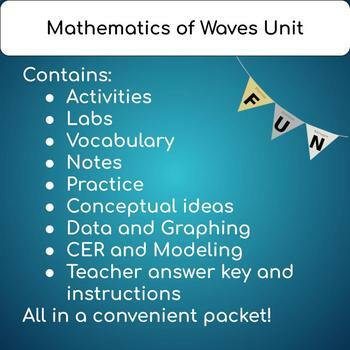 This unit supports *Next Generation Science Standard HS-PS4-1: Use mathematical representations to support a claim regarding relationships among the frequency, wavelength, and speed of waves traveling in various media.